Today In This Post We Are Sharing Here 4 Year License Key Of AVG Internet Security 2015. 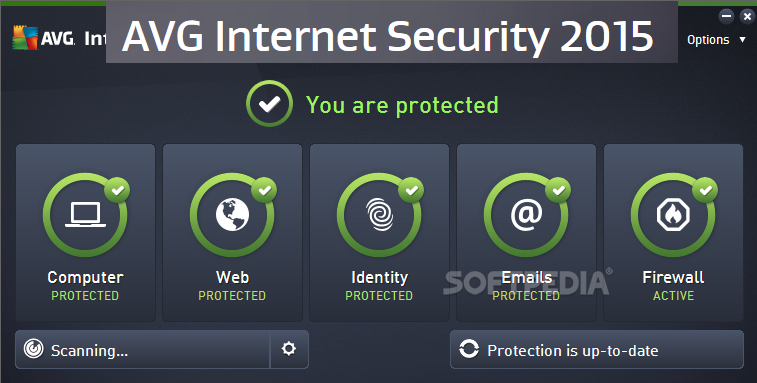 Free AVG Internet Security 2015 License For 4 Year That Means Till 2019 For Free. Original Price of This Antivirus Is $43.99 but You Can Get It, Absolutely Free From Here. Just Use Below Given Registration Key / License Key For AVG 100% Official Way No Crack. Your Computer Is Safe Till Next 4 Years. Grab This License Key For Free. 1. Antivirus Blocks Viruses, Spyware, & Other Malware. 2. Link Protection Scans Web, Twitter, & Facebook Links. 3. Email Protection Warns You Of Malicious Attachments. 4. Online Shield Protects You From Harmful Downloads. 5. Data Safe Encrypts & Password-Protects Private Files. 6. Anti-Spam Stops Spammers & Scammers. 7. Enhanced Firewall Blocks Hackers For Safer Shopping. That’s It. Enjoy AVG Internet Security 2015 Antivirus for 4 Years. Hey Guys In This Post We Are Sharing Here USSD (Unstructured Supplementary Service Data) Code Of All Mobile Operators / Networks. You Can Save/Bookmark This Post For Later Use, Whenever You Need. You Can See All USSD (Unstructured Supplementary Service Data) Codes On One Place. Friends First Time In India, Reliance Has Presented A Lifetime Internet Offer for Its NetConnect+ Prepaid Users. This Is Only One Time Investment Plan. After Activate This Plan You Wouldn’t Need To Any Recharge In Near Future. You Need To Only Recharge Rs. 3001/-. After Recharge Rs. 3001/- NetConnect+ Dongle User Will Get Every Month 1 GB/Month HSD Internet Data For Lifetime Or Till The End Of Licence Period In The Circle. >> First Of All You Need To Buy A Reliance NetConnect+ Dongle/Data Card. Note: - This Offer Is Available On Reliance NetConnect+ Dongle. So, Please Confirm It before Purchase It. >> After Buy This Dongle, Now You Need To Recharge Rs. 3001/- Only. Once Recharge Will Done Rs. 3001/-, You Will Get Every Month 1 GB Internet Data For Lifetime. Note: - NetConnect+ Dongle Download Speeds Up To 3.1 Mbps (150 Kbps) And Upload Speeds Up To 1.8 Mbps. More Info Call Toll Free Customer Care Number: - 1800-3000-5555 Exclusively For Reliance Dongle Customers. MRP >> Rs. 899/- >> TN, KL, KT, GJ, DL, UPW. MRP >> Rs. 999/- >> AP, MU, MH, UPE, HR, RJ, PB, MP, KOL. 1. *Validity Of 10GB Will Be For 30 Days Start From Activation Date. 2. **Customer Will Get Additional 1GB With 30 Day Validity On Recharging With PACK 255/349/449/649/797/849 For First 120 Days From Activation Date. 3. Full Name Of State/Circles, Look Out Below. 1. Lifetime Refers Till The End Of License Period Of The Operations In The Circle With Respect To Prepaid HSD Service. 2. 1 GB Of Benefit Cannot Be Carried Forward. 3. At The End Of 30 Days A Fresh 1 GB Will Be Credited To The Customer's Account. 4. On Top Of This, The Customer Will Be Free To Top Up With Any Other Recharges Like A 999 Or A 255 Without Affecting The 3001 Product Benefits. 19-07-2021 -- Andhra Pradesh, Assam, Bihar, Delhi, Haryana, Himachal Pradesh, Karnataka, Kerala, Kolkata, Madhya Pradesh, Maharashtra, Mumbai, North East, Orissa, Punjab, Rajasthan, Tamil Nadu, UPE, UPW, West Bengal. So, Grabbed This Limited Period Offer Before It Will Expires. Once Again Friends We Are Presenting New And Very Simple Method of Airtel 3G Free Internet.You Can See and Find Out This Method/Trick Only On Our (NKWorld4U.Blogspot.Com) Blog.This Method Was The First & Oldest Method Of Airtel Free Internet.This Method Was Block last 2 Years Ago. Now Currently This Trick/Method is Again Working. This Method Is Also Based on Proxy, but In This Trick, You need not to Change in APN Settings. 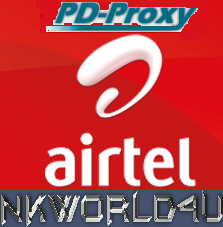 In This Trick Proxy Work Directly With Airtel Free Host. 1. This Is Very Simple Method Of Free Internet For Everyone. 3. Downloading and Resume Support Trick. 4. Not Require Any Change In Browser Settings, IDM Settings And APN Settings. 5. Use Default APN Setting Remove Proxy, If Using. 8. In This Trick, You Will Get Maximum Speed Of Airtel Free Internet Around 850 Kbps in 3G. Now Put Any One Web Proxy Server Address In Your Browser's Address Bar. After Open This Page You Will See A URL Box, Type Any URL Like. Google.co.in in the Box and Click On Unblock and Press Go or Enter. That’s it. Now use free internet. Use Internet Download Manager (IDM) For Best Downloading. If You Have Any Queries & Issues, Please Post a Comment In The Comments Box. Friends Currently in The Using Of Free Internet By Airtel, We Faced A New Problem That When You Open Any Free Host In The Browser, The Host Is Change Into A IP Address (Another Host) And Your Free Internet Will Not Connect. For Example: - You Want To Open Buddies.Airtelmoney.In/ When You Enter This Address In Browser, This Address Is Change Into This IP Address (Host): 125.21.246.99/Vbctest/Or Http://One.Airtel.In/Net And Your Page Will Not Open. When This Problem Is Occur You Will Not to Use Proxy Trick. Means The Proxy Trick Will Not Work When Host Is Changing Into IP Address. So Follow Below Step And Solve This Problem. 1. First of all make APN Internet settings >> Default. Remove Proxy if you are using. 2. Now open Default Browser of your mobile or PC and put This free Host in The browsers Address bar. 4. When next page will open. Close or exit browser. And Now Disconnect the Internet. 5. Now again connect Internet and open any free host. if it is open, then use free Internet using any trick. But if again change host in IP (again problem occur), once again follow above step. Welcome Friends, We Are Shared Here Many Tricks For Free Internet Like... Proxy, Opera Mini, And VPN Tricks That's You Can Access Free Internet On Mobiles As Well As On Computer Without Any Data Pack & Zero Balance By Airtel. So Now Continue This Series We Are Presenting A New Trick For Free Internet. 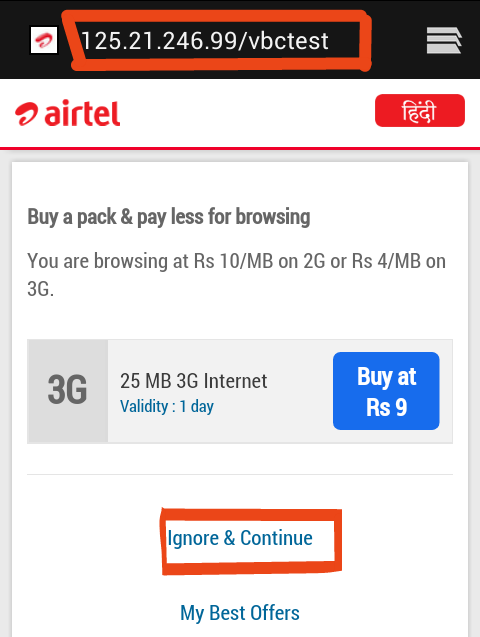 This Airtel Free Internet Trick Is Based On ‘PD-Proxy VPN’. And This Is Very Simplest Method Of Free Internet For PC. This Trick Is Only For PC Or Laptop. You Can Use This Trick Only with PD-Proxy VPN Software and All Settings will be Do in PD-Proxy. Only Work with Airtel SIM. And Work on Rs. 0 Balance. Better Work with 3G Network. 2. Now Make or Signup for an Account. [Remember This A/C - User Name And Password]. 3. Now Download The PD-Proxy VPN Software. Click Here (See Below Image). 1. After Download PD-Proxy VPN Software Zip File, Unzip File In A Folder. 2. 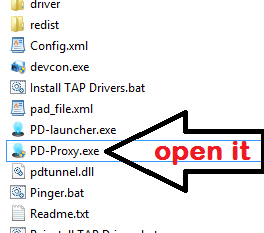 Now Open/Run PD-Proxy.exe [Run as Administrator] From Folder. 5. Now Click On -> Tool Option Icon >> Click Here To Show Advanced Settings… >> Parent Proxy. Note: - Proxies are Quickly Changing. So, Please Change Proxy from here http://incloak.com/proxy-list/?maxtime=600&ports=3128,8080 , Use Only Those Proxy That’s Port Have: - 3128 And 8080. 7. Now Click On Save and ‘Save & Go Back’ Button. 8. That’s It, You Have Done All the Process, Just Connect Internet to Your Modem. 9. Now Select Any One Demo Servers and Now Finally Click On the Connect Button. You Can Use Only 100 Mb Data Daily By PD-Proxy [Trial Account]. [3 GB Monthly]. Use Only Free Demo Servers Not Work Other Premium Servers. This Trick Is Tested In Rajasthan. Today We Are Sharing a Knowledge Based Article. In This Article You Can Understood, That How To Download APK File Of Any Apps Directly From Google Play Store. Many Times Whenever You Want To Download Latest Version Of Any App, You Have Only One Choice Or Option That You Have To Download App Only From Google Play Store. But Don't Worry On The Internet Many Options Is Available That We Can Download Directly APK File Of Any Apps. So Here We Are Giving Some APK Downloader Websites Link Where You Can Download Directly APK File From Google Play Store In Your Mobile Or Pc. You Can Download only that’s Apps Which Is Available on Google Play Store. You Have to Google Play Store App URL Or Package Name Of App. Note: - Always Search Using Package Name of The App, Wherever It may be Possible. After A Long Time Today We Are Sharing A New Earning App For Free Recharge. This is one of the Highest Recharge Paying Android App. May Be Many Friends Know about This but it’s For Those Who Are Still Unaware about This. This Application Named Is “Earn Talktime” [ETT]. This Android App Gives Free Recharge For Downloading Android Apps Through Them. 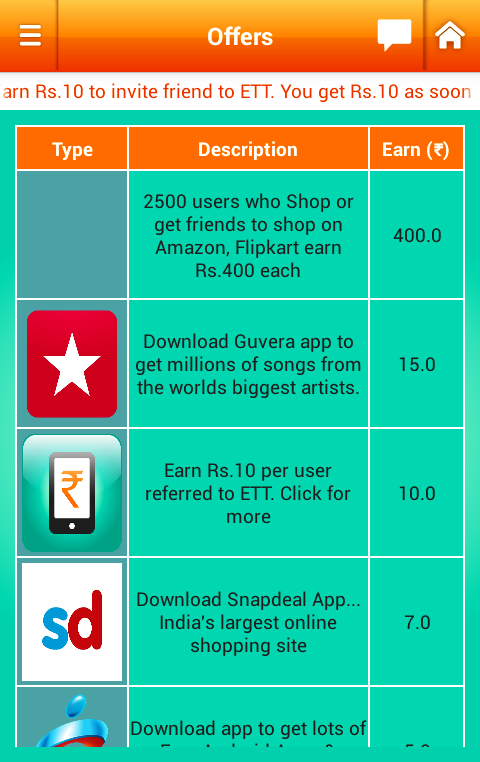 This App Also Pay High Amount Referral Rewards [ Rs. 40 ]. 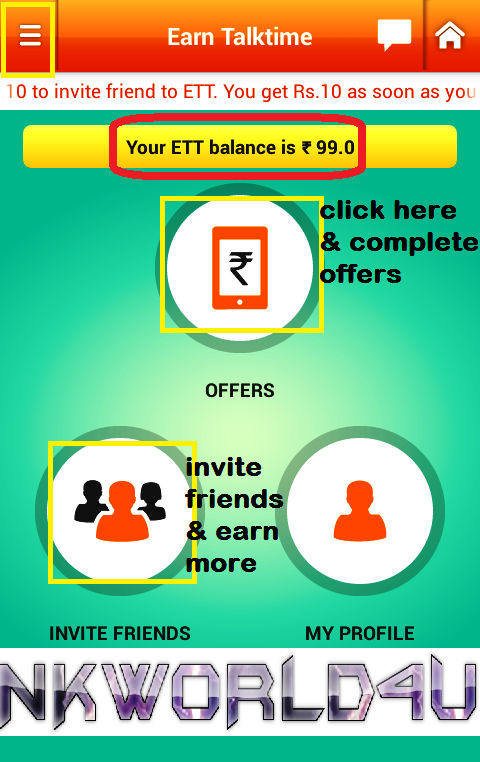 This ETT App And its Working Processor Is Same As “MCent” App, But Different Is The Only Offer Amount. 1. This Is Not A Scheme Of Making Fast Money. 2. You Must Have An Android Mobile. And “Earn Talktime” App. 3. You Can Recharge Any Other Mobile Number. 4. You Need To Use Default Browser Of Your Android Mobile. Don’t Use Like: Opera Mini. 5. Minimum Balance Is Require To Have Rs. 20 In Your EarnTalktime App A/C For Doing Recharge. >> Put Your Mobile No. >> Click On Register & Verify Your Mobile Number. 3. After Successful Mobile Verification You Are Ready To Earn Free Mobile Recharge. 4. Now You Will See Your Homepage In EarnTalktime App. 5. Click On Offers To Check Offers By Which You Can Earn Free Mobile Recharge. 6. Now Simply Click On Any Offer And Download App Through EarnTalktime From Google Play Store And Open App For 30 Seconds To Get Your Reward. 7. You Can Also Earn More By Referring Your Friends. Per Referral You Will Get Rs.40. 8. 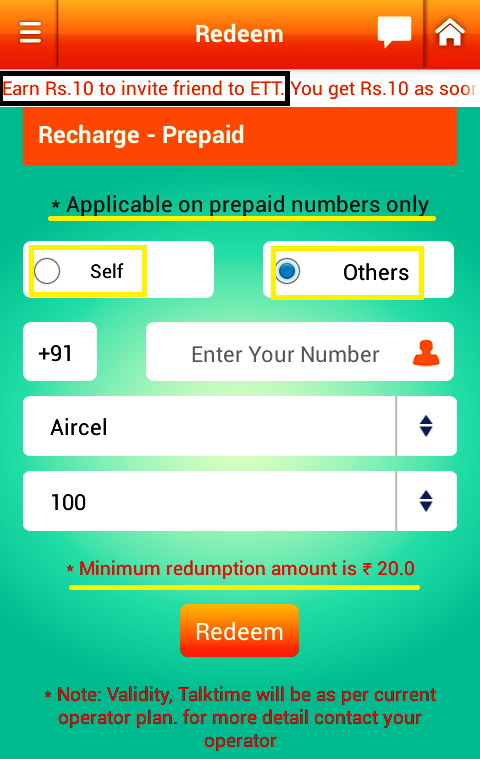 So Refer As Many Friends As You Can To Earn Unlimited Free Mobile Recharge. That’s It, Complete All Offer, And Get Unlimited Free Mobile Recharge. Enjoy!